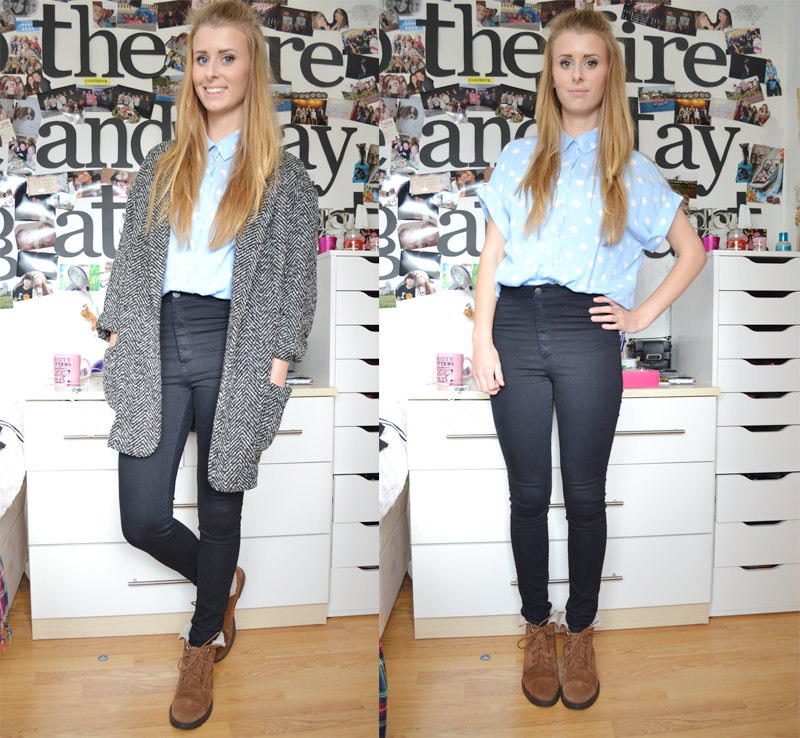 An outfit consisting of only the cheapest highstreet brand and one of the most expensive! I really love this outfit and I don’t quite know why – I love the oversized coat, and I think the blue top brings some colour to the look. These photos are from the many I took a while ago, I no longer have the collage wall and my hair is now a lot shorter (boo!) but also a lot healthier! It’s surprising how much a haircut can do – I’m pratically knot free now!